The Jefferson Bank Investor Challenge gives San Antonio-area high school students entering their senior year an opportunity to learn the fundamentals of investment strategy and to try their hand at portfolio management for a shot at winning $500. 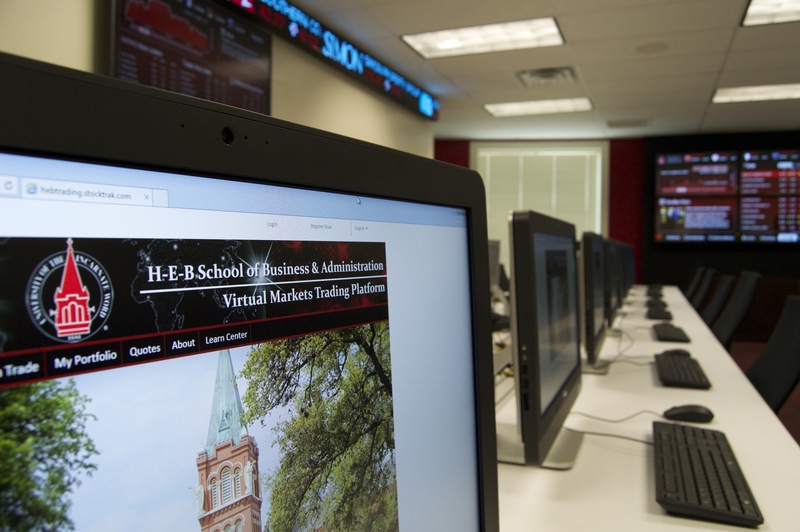 Students are invited to a week of classroom instruction with experienced faculty members from UIW’s H-E-B School of Business & Administration, followed by a 20-week simulated online investment competition. The Investor Challenge program introduces high school students who have completed their junior year to financial literacy, planning, and the stock market. A secondary goal is to have the students attend classes on a college campus to visualize themselves going to college. This program is offered in partnership with Jefferson Bank. To increase financial literacy, students will be taught how to use basic budgeting and cash flow management software such as Mint.com. Students will be shown how even small changes in lifestyle can result in huge amounts of wealth through the power of compound interest. We will also stress the importance of using the mainstream financial system to save money and have greater access to credit. Students will determine their unique money personality and how to leverage it for increased saving and investment while avoiding the pitfalls of their personality. Most importantly, students will learn that the more you understand about personal finance, the more successful you can be in reaching your goals. Students are taught the basics about stock symbols, the various exchanges, risk and diversification. After a brief training period, they are each given a simulated portfolio that mirrors the U.S. stock market. They will then research companies and buy and sell stocks in a competition to see who can increase the starting portfolio the most. The challenge will last for approximately 20 weeks so the students can experience some of the natural ups and downs associated with the stock market. The winner of the challenge will receive $500 and a plaque with their name engraved that will be prominently displayed in UIW’s Financial Resource Center. June 14, 2019 – Simulated Online Investment Challenge begins. December 2019 – Investment Challenge ends. Winner of $500 prize announced. If you have any questions about the Jefferson Bank Investor Challenge, please call 210-805-5884 or email hebsba@uiwtx.edu. The deadline to apply for the Investor Challenge is Friday, May 31, 2019. The application below must be submitted in full, including an essay. Students will be notified via email upon acceptance into the competition. Students accepted to participate in the Jefferson Bank Investor Challenge are asked to pay a $25 participation fee. An online payment option will be sent out via email along with notice of acceptance.